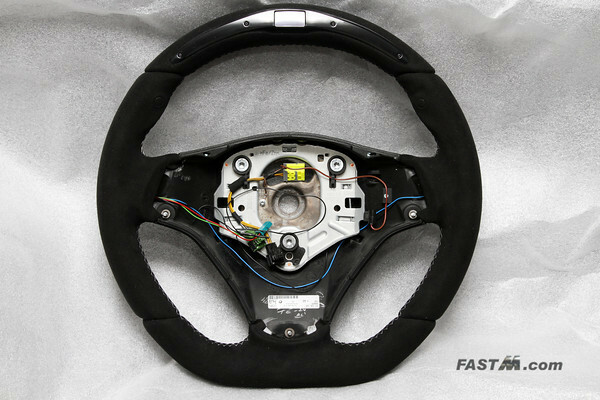 The steering wheel is completely upholstered in Alcantara with white cross-stitching, and its curvature is flattened at the lower edge. However, its most eye-catching feature is the display built into the top of the rim. Incorporating one organic and two conventional LEDs, it gives drivers access to a variety of efficiency and motorsport-related functions. * These are operated via buttons conveniently located in the thumb-rest areas. A choice of three modes is available – ECO, Sport and Race. 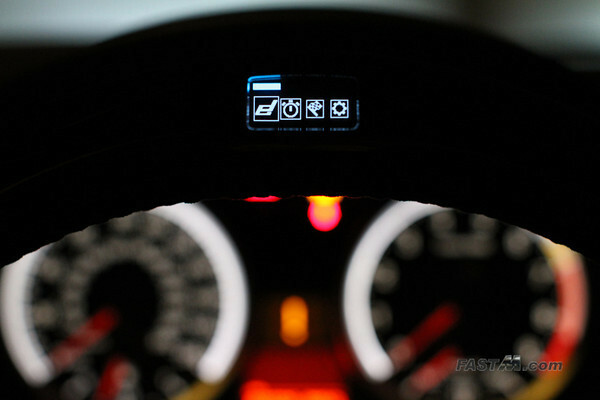 In all three modes, the LEDs can be used to inform drivers of the optimum shift point. In ECO mode, they can also help facilitate a more economical driving style. Sport mode includes a stopwatch, a current fuel consumption display, and a g-meter showing and recording momentary acceleration. Race mode incorporates a lap timer with various split-time and memory functions. 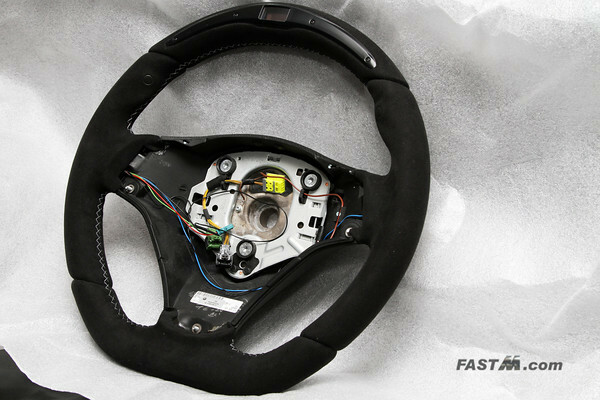 An optional lap trigger is available separately, which uses an infrared transmitter and receiver to measure lap times automatically and extremely accurately. Race mode also allows a variety of acceleration times to be measured, such as the time taken to reach 100 km/h** from a standing start or for the American quarter-mile sprint. Radiator temperature is shown in all three modes, as is the oil temperature in the case of petrol engines. The icon-based MMI (multi-media interface) makes it simple to use. Includes functions such as a lap timer (stopwatch that measures hundredths of a second, lap times and maximum figures for acceleration and speed) and also displays g-force readings as well as oil and water temperature. A feature characteristic of real race cars: with the integrated gear shift indicator, you can always change gears at the right moment - for maximum acceleration or in BMW EfficientDynamics mode for maximum efficiency. 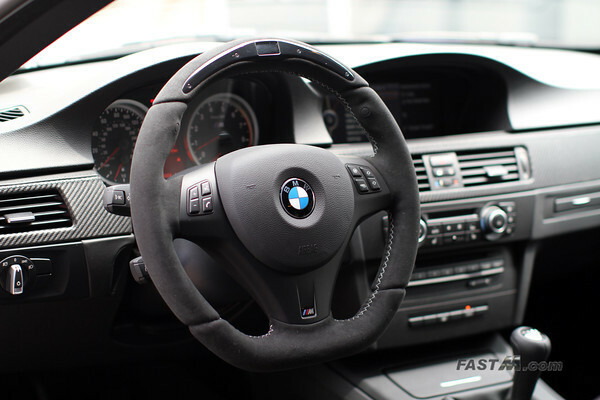 Covered in high-grip alcantara, the steering wheel adds an even sportier air to the cockpit. All functions can be controlled quickly and directly via the integrated operating elements on the left and right. Overall the alcantara covered wheel feel great in the hands and is very grippy. 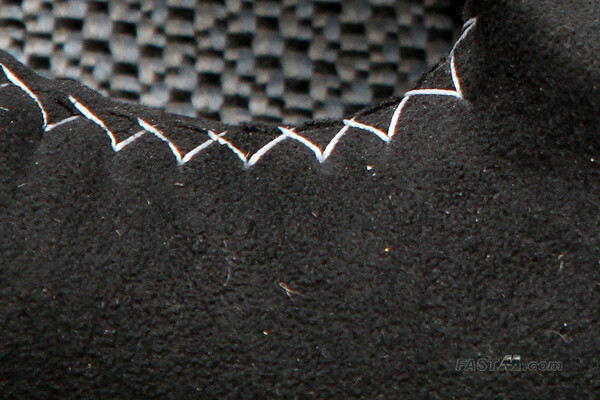 However, the top of the wheel is thicker and feels slightly out of place in the hands when turning. The OLED screen is sharp and clear. The thumbrest buttons are easy to press and within good reach. Install took me about 2 hours as I was taking my time with the wiring making sure it's neat. The results, it works the first time!! Video below show the factory "DEMO MODE".